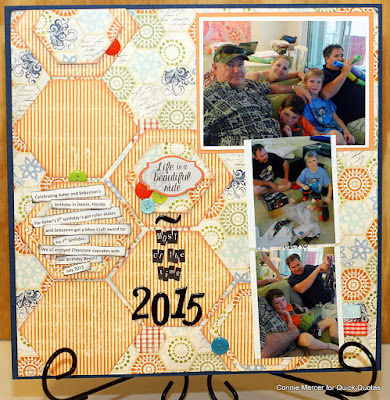 Hi, Connie here to share with you what I created using the May Club Q Kit. 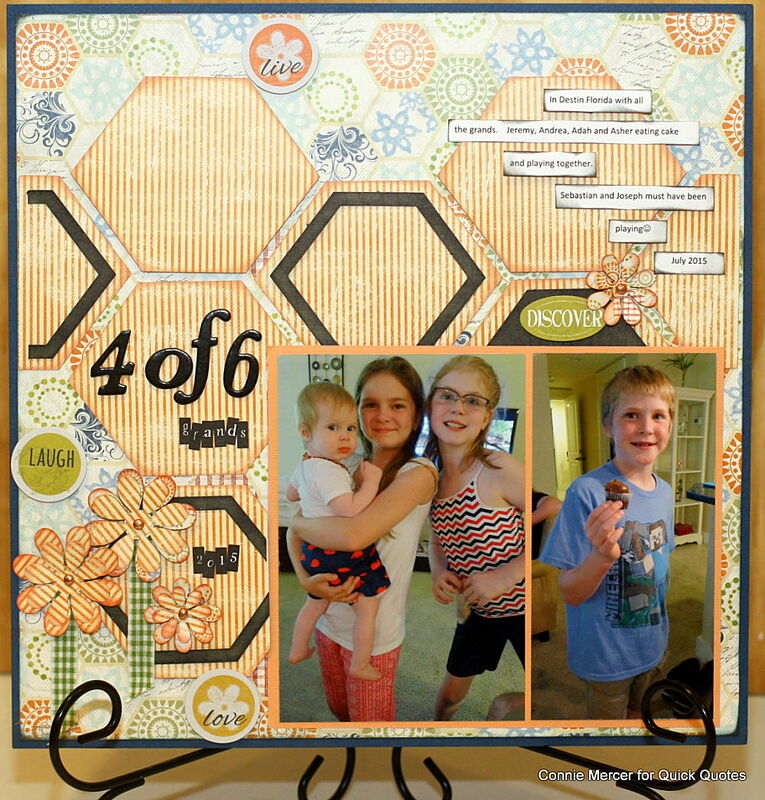 This is a fun one! 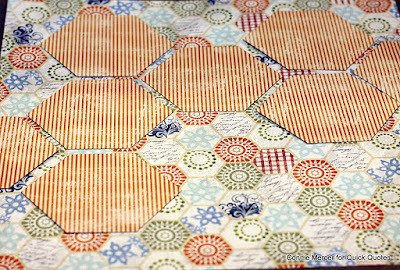 If you love hexagons, the color orange, flowers, strips, it is all in this kit. I was able to create two scrapbook pages and one card. 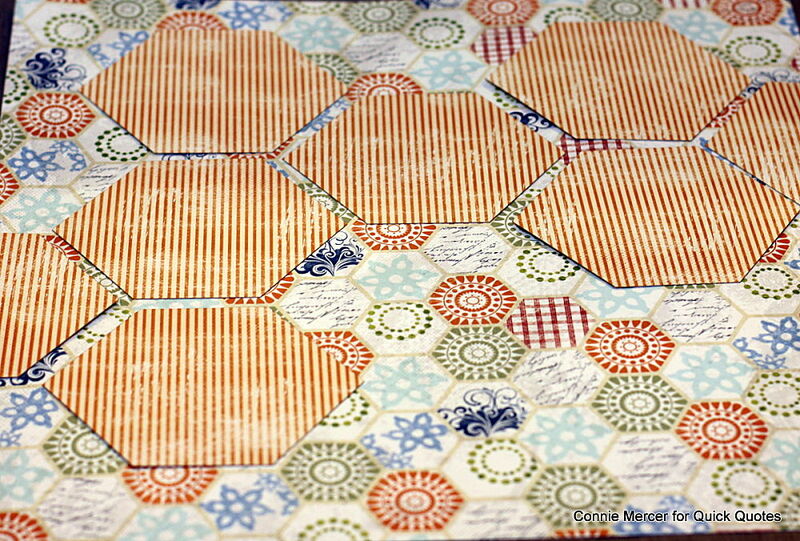 I started laying out the hexagons to see what kind of pattern or design I could create. The kit comes with chipboard shapes also. I inked those with Quick Quotes PowderPuff Chalk Inks along with shading the edges of the shapes with different colors of PowderPuff Chalk inks. 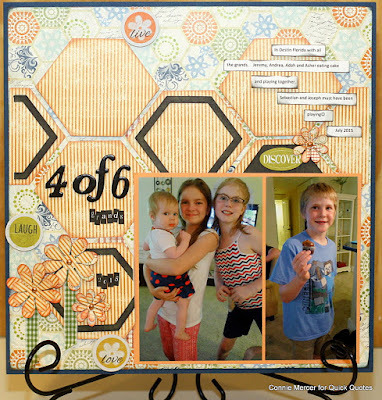 Flowers and ribbon together make a cute garden for a page. 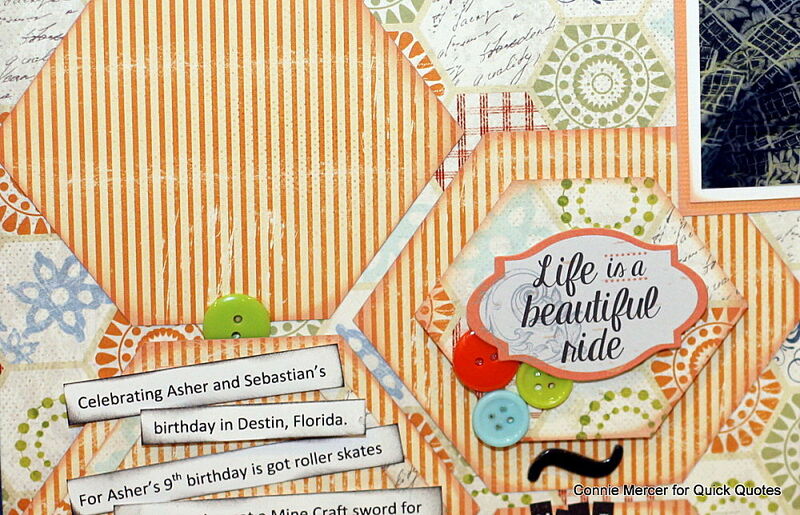 I added cardstock, to the pages from my personal stash. Still just creating with the hexagons and Quick Quotes PowderPuff Chalk Inks. 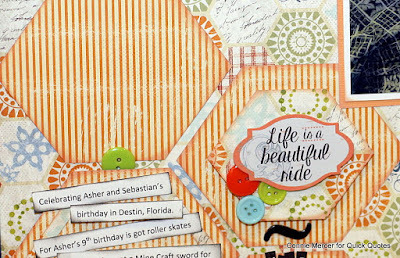 The bright buttons are also included in the May Club Q Kit. 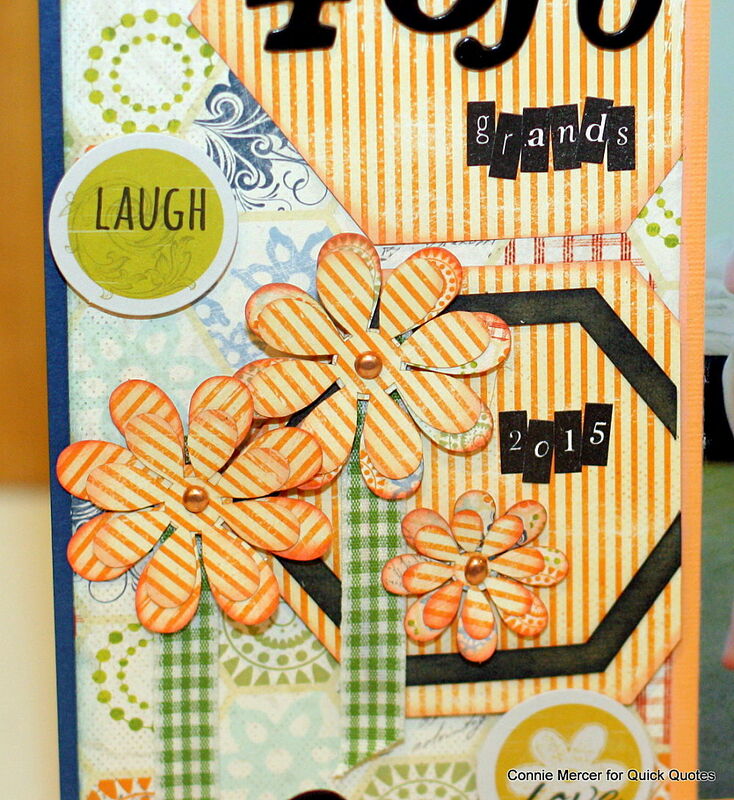 I was able to create one card from the May Club Q Kit scraps. 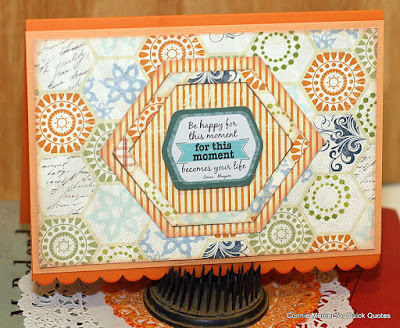 Quick Quotes PowderPuff Chalk inks: Midnight Confessions, Navy, Sunset, Peach Tree and Orange Slice.